Zumba is a wildly popular form of workout dance created by Alberto “Beto” Perez. It combines different elements of Latin dance and has gathered a large international appeal and following since it was introduced to the fitness world. It appeals to all ages and gender and is a fun way to lose weight without feeling like you are actually exercising. While, it’s true this may be a great way to have fun while burning up calories, dancers must consider the enormous physical demands the dance moves involve. Every part of the body will be moving at once and all that twisting, turning and sudden movements will put pressure on your legs, ankles and feet. The feet need proper footwear, not just the normal sneakers, as the wrong choice could lead to discomfort, falling and even injury. Here are our tips on selecting the best shoes for Zumba workout as well as review of specifically designed shoes for Zumba dance. The best Zumba workout shoes offer extra shock absorption to take the impact so you don’t suffer strain to your knees and ankles. They are padded enough to be comfortable but still keep you light on your feet. The dance moves requires a lot of sliding, agility, quick turns, spins and stops in tune with the changing music beats. The best sneakers for Zumba should have the right amount of grip: too much and your movements will be clumsy, too little and you would fall often. A spin spot is an important feature designed into the threading of the shoe. It allows the wearer turn and twist, move forwards and backwards and side-to-side while maintaining their balance. Without this feature, you could get hurt in the knees and ankle when your body moves but your feet are still on the same spot. Some dance sneakers have a special feature that has a separate sole for the heel area and another sole for the toes and ball of the foot. In this kind of shoes, the arch of the foot is supported in a way that it doesn’t come in contact with the floor. Thus, there is no need for that portion to have a sole. These shoes are very flexible and allow your foot arch and point better thereby making dancing easier. The heel counter is the part of the shoe that cradles the heel of your foot. The higher and stiffer the heel counter the more stability provided. Note that to avoid injury, shoes with a high heel counter must have a v-shaped cutout to allow room for the flexing of the Achilles tendon. Try the shoes on and be sure they are lightweight enough that the weight will not distract you while dancing. There is a wide variety of styles, brands and shapes of dance shoes available. Below is our review of the top 12, highest rated best sneakers for Zuma dance comprising 8 for women, 1 unisex and 3 for men. Nike maintains its place as one of the best-selling Zumba shoes due its lightweight, comfortable, breathable design and essential pivot point design dancers need. This particular model was not originally designed as a dance shoe but is presently the most popular choice among dancers. The upper body is mesh with stretched inner sleeve and soft shock absorbent Phylon midsole and rubber sole. Pros: Comfortable, lightweight and fantastic arch support. 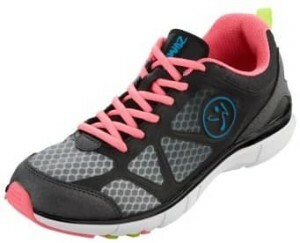 The Bloch brand of shoes are specifically designed for Zumba and other forms of dance fitness. 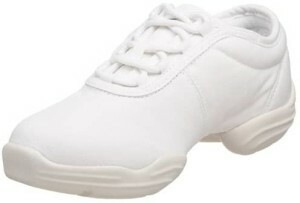 This Bloch Zumba shoe is made with natural soft action leather, mesh upper body and mid-foot stretch mesh for extra arch support and flexibility. Non-marking rubber outsole and medial pivot point for easy turning. Removable contoured compression molded sock liner. Pros: Very flexible for dance moves, good arch support. Cons: May be too bulky for some people’s taste. 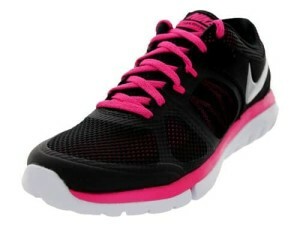 Another Nike shoes for Zumba, this model has synthetic leather and mesh upper body for breathability and support. 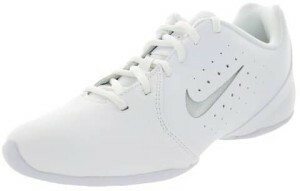 It has durable Phylon midsole for cushioned support. You can customize the look by changing the color cards behind the cutouts in the upper body. Available in 3 mixes of white and Platinum. Pros: Attractive style and comfortable. Cons: Runs a bit narrow. 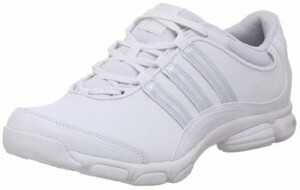 Adidas remains a classic favorite and this Adidas Zumba dance shoe is ideal for women who want to look stylish while dancing. The upper body is in comfortable leather and it has a fabric inner lining with EVA contoured midsole. 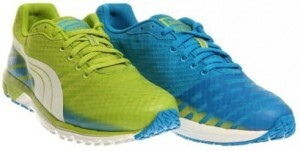 The outsole is a non-marking rubber split sole. Pros: Comfortable, durable and cheap. Cons: A bit narrow in the toe area. Capezio is an old trusted name in dance footwear. The Capezio Rockit has mesh/suede/synthetic upper body, sport lacing system and perforated arch area for breathability. The toe area is flat and boxed. Contoured EVA footbed, padded Achilles notch for comfortable tendon tensing. Non-marking PU outsole with built-in patented flex points. Cons: Runs small you may have to buy up to 1 size larger, not comfortable for people with high arch feet. 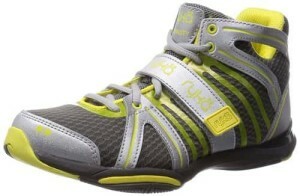 A sporty Puma Zumba shoe, with slim profile and attractive design. Synthetic low-cut upper body, lace-up closure with glossy overlay and padded collar. Good pivoting rubber sole with adequate traction. Cons: Runs narrow, not built for rough handling. 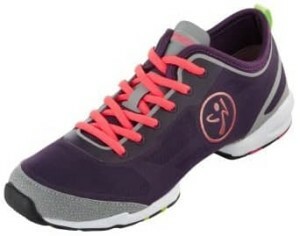 Another model from the Zumba brand, this shoe is styled from breathable fabric with lace-up vamp, padded tongue and collar, and Zumba logo on both sides. Inner lining is breathable textile. Inside also features compressed EVA midsole for shock absorption and comfort. Rubber Z-slide outsole for movement on a variety of surfaces. Pros: Good stability, light and sturdy. Cons: Runs a bit wide and large. RYKA shoes for Zumba could easily top the list of best Zumba shoes with this very popular model that serves multipurpose uses. It’s a good choice if you need dance sneakers that can function for other activities. It comes with mesh upper body and overlays of synthetic fabric, Ortholite removable insert and soft fabric lining. Superior arch cushioning and lots of lateral support. Molded heel reinforcement and good traction outsole with pivot-point design. Pros: Good arch and ankle support. Cons: Toe box may be too narrow for some people. Another Capezio model this time unisex. The upper body is black canvas with generous padding and contoured, removable EVA footbed. Synthetic non-marking rubber split sole with built-in flex points and spin spot. Pros: Highly recommended and designed for Zumba dancing. Cons: Inconsistent sizing, plain looking. 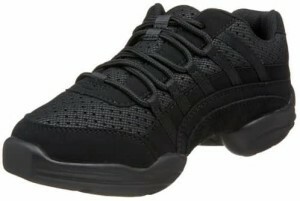 A Zumba shoe for men from the PUMA brand, this shoe features the attractive and unique sportswear design native to PUMA. It’s a lace-up sneaker with fabric body, Formstrips at lateral and medial sides and comfortable textured toe guards. Odor control anti-microbial sock liner, FAASFOAM one-piece midsole and EverTrack abrasion-resistant rubber outsole. Cons: Inconsistent sizing, very bright colors. 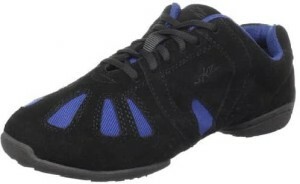 The Zumba Fitness Men’s Z Kick II Sneakers may likely be the best Zumba shoes you can find for men. The upper body is a mix of synthetic and mesh. Very good arch support and cushioning. Rubber sole specially designed for good pivoting, gliding and sliding on different floor surfaces. Lace-up collar allows for close fit and comes with a variety of colorful laces to choose from. Pros: Highly recommended by most buyers. Very good arch support. 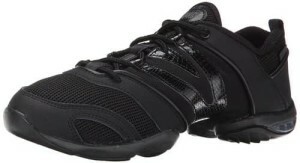 This shoe offers maximum flexibility and is another good choice for men’s Zumba shoes. The upper body is a lace-up mix of suede and fabric and padded lining for comfort. Features rubber split sole. Cons: Runs up to 2 sizes small, too much grip on wooden floors. Zuma dancing can be quite intense. Don’t fall into the temptation of picking just any sneaker from your closet as the risk of injury is really not worth it. Zuma shoes will feel slightly awkward when you first begin to wear them but stick with it as the comfort and flexibility is just what you need to help dance those extra calories away.